Advisors, reps, and agents all have specific roles, but it can be very confusing when they are vying for control of your assets. One of the biggest sources of confusion is the key differences between investment advisors and money managers. Most of the time an investment advisor is like a consultant. They provide advice and services like performance reports, but they do not make decisions on behalf of their clients. Instead, they provide advice and you make the final decisions. One of their most frequent services is advice on which managers you should select to invest your assets in the securities markets. This type of investment advisor is also called a non-discretionary advisor. In other words they do not have discretionary authority to make decisions for you. Now comes the confusing part. There are also discretionary investment advisors who do have the authority to make decisions for you. Discretion is given by a Limited Trading Authority clause in their service agreements. For example, they decide how much money will be allocated to particular asset classes or which money managers will manage the asset classes. To add to the confusion, some discretionary investment advisors will also manage portfolios of securities. There is very little difference between discretionary investment advisors and money managers. They both make investment decisions without your approval in advance. The one distinguishing characteristic is money managers invest your assets in the securities markets. Discretionary investment advisors usually invest your assets with money managers because they do not have the skills or resources to invest in the securities markets. There are two types of money managers. One manages separate accounts so you have your own portfolio. 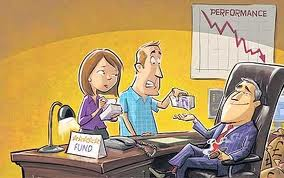 The other manages pooled accounts (mutual funds, hedge funds) so your assets are pooled with other investors. One way to know you are employing an investment advisor and a money manager is the layers of fees you are paying. You may be paying a fee to an advisor and a fee to a money manager. In this case, the advisor probably recommended the money manager. Also, be aware there is a billing arrangement called a wrap fee. This occurs when the investment advisor and money manager combine their fees together. The easiest way to protect your financial interests is to obtain full written disclosure from all parties that are deducting fees from your assets. They must disclose their role, their decision-making authority, and their fee schedule to you. Make them justify your need for their services and the fees they charge to provide their services.